The Adventures of Terka & Jeffko: Miletička and mushrooms update! So, in my post in September about Miletička, Bratislava's outdoor farmer's market, I lamented the lack of more exotic produce, like figs, medjool dates, and wild mushrooms. Well, apparently mushroom season arrived a bit late this year, as just this past weekend we finally saw countless vendors selling plump porcinis, meaty chanterelles, and some other varieties of wild mushrooms. 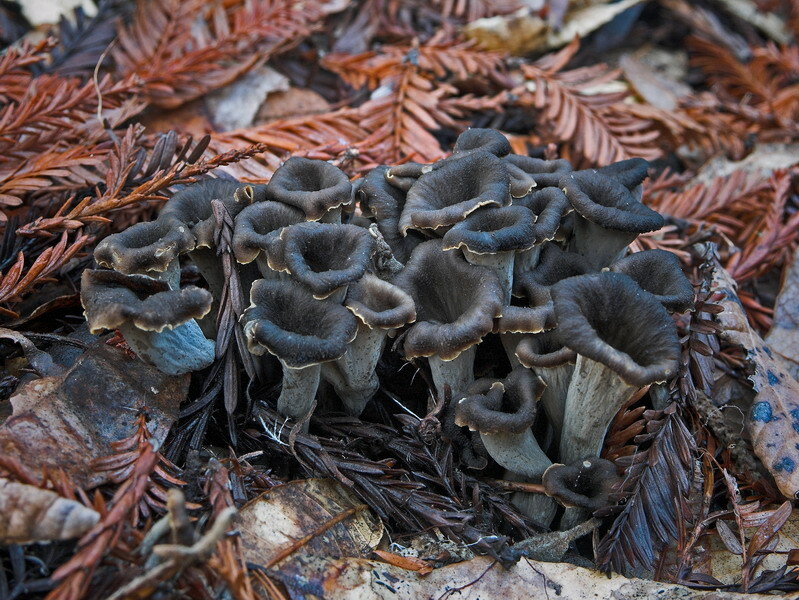 (But sadly, no black trumpet chanterelles, which are a favorite of mine - not sure if they grow here). We bought some and made a tasty wild mushroom lasagna, one of my very favorite things to eat. This is also nice because Terezia's parents and brother, who are avid mushroom hunters, say that in the region where they live, the mushroom season has been tragically sad, with nary a porcini to be found. This was due to a lack of rain in the area at the right time. Usually they bring home porcinis by the sackful and then dry them, and we get a year-long supply of 'em. Sadly, that's not going to happen this year. But other regions in Slovakia appeared to do quite well, judging by what we saw at Miletička. So, at least we won't be completely deprived of these forest-floor delicacies this year. So, probably not a very earth-shattering post (unless you ask my taste buds), but I didn't want to misrepresent Miletička. I'm just happy we don't have to trek out to Vienna if we want to make something involving wild mushrooms. The new Spectacular Slovakia is out!